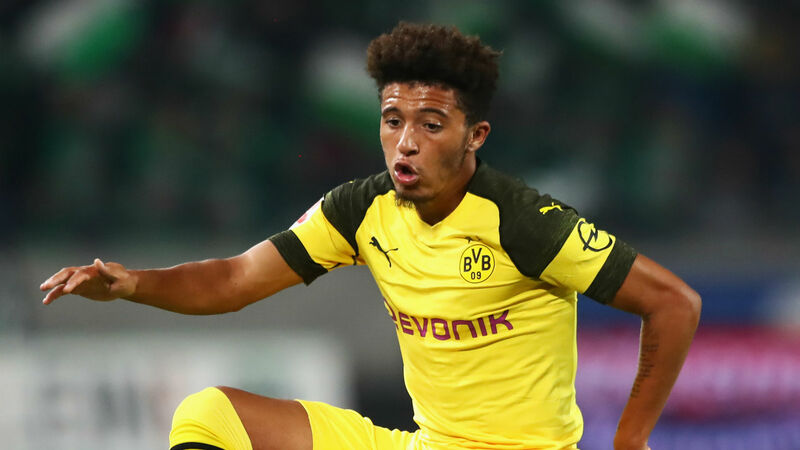 Borussia Dortmund midfielder Marco Reus has credited the impact of “street footballer” Jadon Sancho in helping ignite a sense of euphoria at the club after the English youngster starred in Wednesday’s 3-0 win against Monaco in the Champions League. Lucien Favre’s team sit top of their group with two wins from two and lead the Bundesliga table after six games, a point clear of faltering champions Bayern Munich, after making an unbeaten start to the season. And club skipper Reus believes Sancho – who has been handed a maiden call-up to the senior England squad to go with his new contract – and Jacob Bruun Larson, the 20 year-old Danish winger who returned to Dortmund in July after spending last season on loan at Stuttgart, can help mount the team’s first sustained title challenge since they last won the league under Jurgen Klopp in 2012. “Actually, there’s a certain euphoria about the boys right now,” Reus told Bundesliga.com. “They give us a lot of input, help the team a great deal and still shine individually. “It’s really good what the boys are producing. Bruun Larsen came on [against Monaco] and made it 1-0 straightaway. It’s really crazy right now – we hope we can continue in this form. But it’s also hard work and right now we have a good feeling on the pitch. We’re playing with a lot of confidence and that’s what’s setting us apart at the moment. Dortmund had dominated against Monaco at the Westfallenstadion for the first 45 minutes without finding a way through, and the deadlock was broken shortly after half time when substitute Larsen collected Sancho’s delicate through ball on the edge of the box and slotted past Daniel Subasic. And the former Manchester City youth team player has been instrumental in Dortmund’s rise to the Bundesliga summit, scoring or assisting a goal every 20 minutes during the opening five games of the season.